The Environmental Defense Center (“EDC”) and our clients, Sierra Club Los Padres Chapter and Environmental Coalition of Ventura County, celebrated a victory in December 2018 when NRG withdrew its application for the proposed Puente Power Project Plant in Oxnard. The withdrawal came after three years of hard work by EDC and our allies, and a year after the California Energy Commission’s Committee assigned to the case proclaimed its intent to deny the application. The proposed denial was based in large part on evidence submitted by EDC regarding the project’s harmful impacts to the surrounding environment. One of the key discoveries we presented to the Committee was the presence of silvery legless lizards. The silvery legless lizard – a rare species the size of a pencil that lives underground – is a protected California “Species of Special Concern”. This unusual critter evolved to lose its limbs. Looking more like a snake than a lizard, it no longer needs legs since it moves in a serpentine fashion under sand dunes. So rarely seen, finding a legless lizard is like finding a needle in a haystack! I found two at the site of the planned $300 million, fossil fuel-fired Puente Power Plant on the scenic Oxnard beach near the Santa Clara River Mouth and McGrath Lake in Ventura County, California. Thanks in large part to EDC’s discovery of the lizards and, more importantly, our legal expertise, EDC convinced the California Energy Commission that the project should be denied. What do you mean there were no Rare Species present? NRG, the largest independent power producer in America, claimed no rare species live onsite. Incredibly, NRG maintained that building a power plant in prehistoric dunes on Oxnard’s picturesque shoreline would not impact our environment! However, after EDC submitted evidence of rare plants and wildlife at the site, the Energy Commission took note; the legless lizards became a crucial element of EDC’s strategy to defeat this power plant in favor of renewable energy for a sustainable future. We also noted the presence of other rare, protected wildlife. For example, the endangered western snowy plover nests within feet of where this power plant, if approved, would have been erected! Endangered California least terns nest alongside the plovers. Two-striped garter snakes slither from nearby McGrath Lake, and protected globose dune beetles burrow beneath the sand. Birds of prey, including hawks and kestrels, use the area for hunting and for nesting. Even after conducting surveys, NRG’s biologists had no idea that peregrine falcons were nesting, hunting, and raising chicks on the site! Nor did NRG disclose that great horned owls also nest onsite. Peregrine falcon nest and foraging habitat would have been destroyed by the Puente Power Plant. An endangered plant – the Ventura marsh milk vetch – was thought extinct until recently discovered in this very area. EDC’s work convinced the Energy Commission to halt its process and require NRG to undertake detailed surveys focused on the many rare species which EDC demonstrated occur nearby. 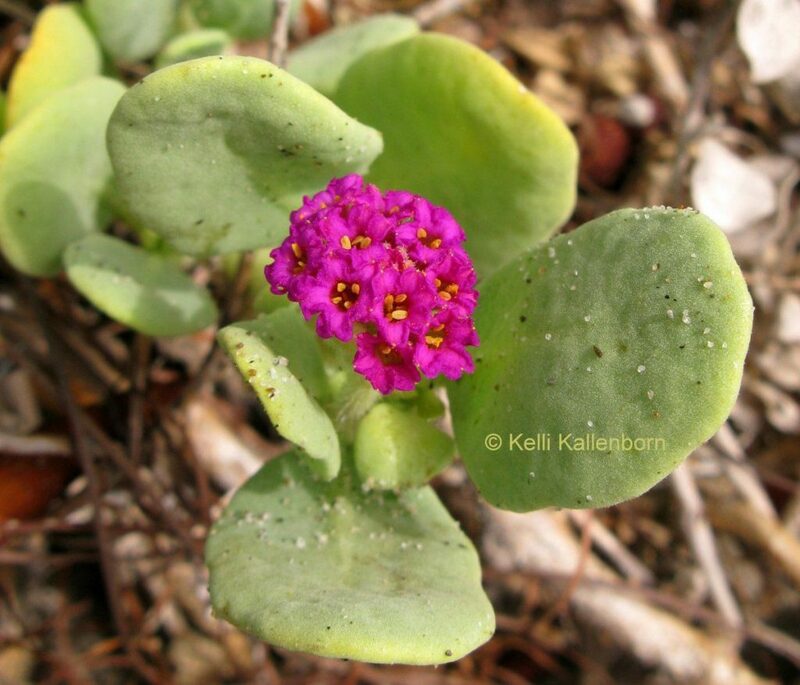 Red sand verbena was threatened by Puente Power Plant. EDC pointed out numerous times that NRG’s biologists had failed to conduct “focused” surveys needed to detect rare species present around the site. EDC’s Staff Attorney, Alicia Roessler, crafted a brilliant game plan and sharply questioned NRG’s biologists, pointing out the flaws in their surveys. In response to EDC’s arguments, the Commission stayed its entire process and directed NRG’s biologists to conduct focused surveys for numerous reptiles, birds, and plants identified by EDC. Unfortunately, even after being ordered by the Energy Commission to conduct these surveys of the entire site, NRG surveyed at the wrong time of year, did not survey the entire site, and did not conduct effective surveys. Rare Species Found on Puente Project Site! NRG’s surveys appeared designed to overlook rare species. 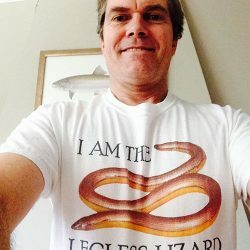 As an example, the most effective survey method for legless lizards – raking surveys – was done in only 1% of the survey area. Despite this, and because of EDC’s work, NRG’s biologists found that peregrine falcons were nesting and foraging on the project site. They found nesting great horned owls and California horned larks, a rare bird. 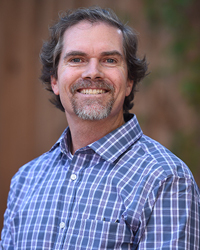 Once NRG was required to follow EDC’s advice, NRG’s biologists found rare species including globose dune beetles (an endangered species), and red sand verbena – species NRG had claimed were absent. Thus, as a direct result of EDC’s legal arguments and scientific expertise, NRG finally had to disclose for the first time ever that rare species live, nest, and feed on the project site. Moreover, while NRG’s biologists found no legless lizards during two months of surveys, I found two in an hour-and-a-half! One was within ten inches of the site’s fence. Yet NRG still maintained that legless lizards did not occur onsite. EDC’s discovery of the legless lizards undermined NRG’s credibility at a pivotal juncture, signaling a significant crossroads in this case. It was EDC’s time to shine! What?! NRG claims it’s not a wetland? NRG failed to disclose the presence of a 2-acre wetland in the middle of where the power plant would have been built. The company also claimed that the site did not contain any dunes, while at the same time asserting that dunes will protect the power plant from sea level rise. Legless lizards at the project site live underground and feed on grubs and insects – staying below the surface for protection from the sun. 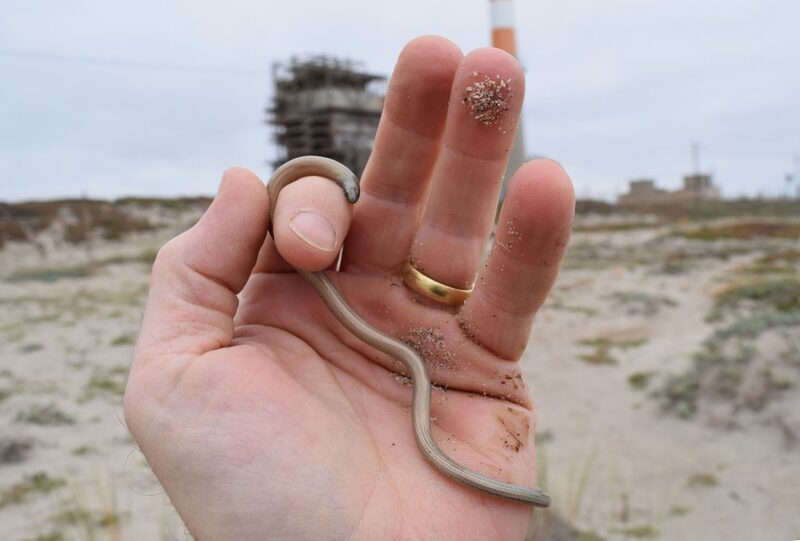 With EDC’s discovery, the astonishing legless lizards became the posterchild for protecting the dunes and wetlands from this ill-conceived, polluting power plant. It’s not a worm! A silvery legless lizard at the site of the proposed Puente Power Plant on Mandalay Beach in Oxnard. NRG’s lawyer put me on the stand and cross-examined me concerning the legless lizards. 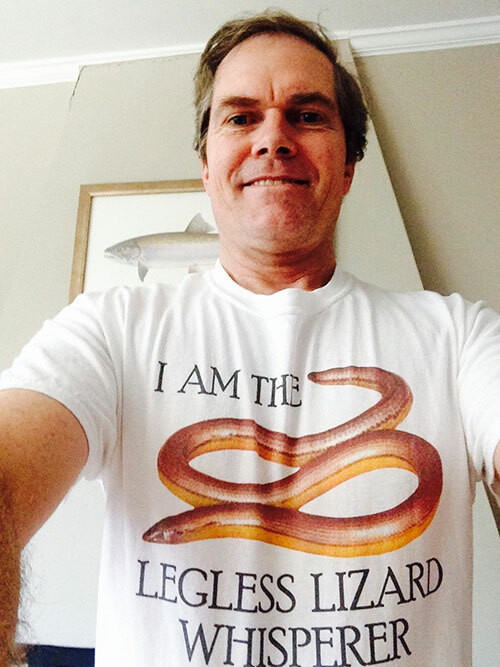 Since their biologists found no legless lizards over several months, yet I found two in one day, NRG’s team referred to me as the “Legless Lizard Whisperer.” What an awesome nickname! What about renewable energy alternatives, and what the heck is a CAISO!? Following our exposure of the rare wildlife and habitats that would be threatened by the power plant, the California Independent Systems Operator (“CAISO”), a respected NGO which manages the State’s power grid, concluded that Puente is unnecessary. Clean energy alternatives are viable and a fourth transmission line between Moorpark and Goleta obviates the need for Puente. This information came to light only after EDC was able to delay the process to accommodate focused biological surveys required by the Commission. EDC, our clients, CAISO, Earthjustice, Center for Biological Diversity, CEJA, CAUSE, and the City of Oxnard immediately demanded an expanded search for clean energy proposals, a process that identified a feasible renewable energy alternative. NRG withdraws application for Puente Power Plant! After the Committee indicated its intention to deny the project, NRG immediately requested a suspension of the Commission’s process. The Committee granted the suspension to allow Southern California Edison time to consider the energy demand and resources available for this subarea. On December 7, 2018, NRG acknowledged there was no viable path for the project and withdrew its application. Thanks to EDC’s discovery of legless lizards and the forced pause in the process to conduct additional surveys, EDC’s legal expertise, and EDC’s come-from-behind victory, the outlook is bright for the legless lizards, the peregrine falcons, the incredible wildlife living amongst the dunes and wetlands, and the residents of Oxnard. Oxnard will get to keep its scenic coastline, the dunes and wetland habitats for rare birds, wildlife, and plants will be preserved, and our communities will be supplied with clean, renewable energy! I would like to talk to you and perhaps even meet with you about the silvery legless lizard him that exist in Oxnard Shores city has a tie on building some houses there on a big empty lot in the Shores and there is a silver legless lizard on that lot and I’d like to talk to you about their presence please so I can get a hold of me either through the email above or my phone number 805-509-5398 thank you very much.